Let’s take a closer look at the important things you should consider when buying a new watch. One of the most important accessories is the watch. Undoubtedly today in the market we find a huge variety of models of world-famous and not so famous brands. So choosing a watch sometimes turns out to be a difficult task. And this is why we should take it seriously. Of course, a choice based on information is the best choice you can always make. An impulsive purchase is something that you would definitely like. But when it comes to watches, there are many things to think about if you don’t want to regret in the future. It’s important to be aware of the maintenance that the watch requires, as well as the complex of qualities you want it to have. This is the only one of the things you should consider if you want to keep your watch ‘new’ for long. In this article we'll try to make your future choice easier. Let’s take a closer look at the important things you should consider when buying a new watch. First of all, it is really important to choose what kind of watch you actually want - digital, analog, or a combination of both types. Of course, it's important to be aware of the differences between the types. For example, the digital watch is often preferred because it is comparatively tough. The numbers on the display are big, easier to read. The battery of digital watches is usually long-lived. In addition, digital watches often show the date and the year. Some modern models have a number of features such as calculator and alarm functionality and this is what makes them perfect for athletes or people with a more dynamic everyday life. 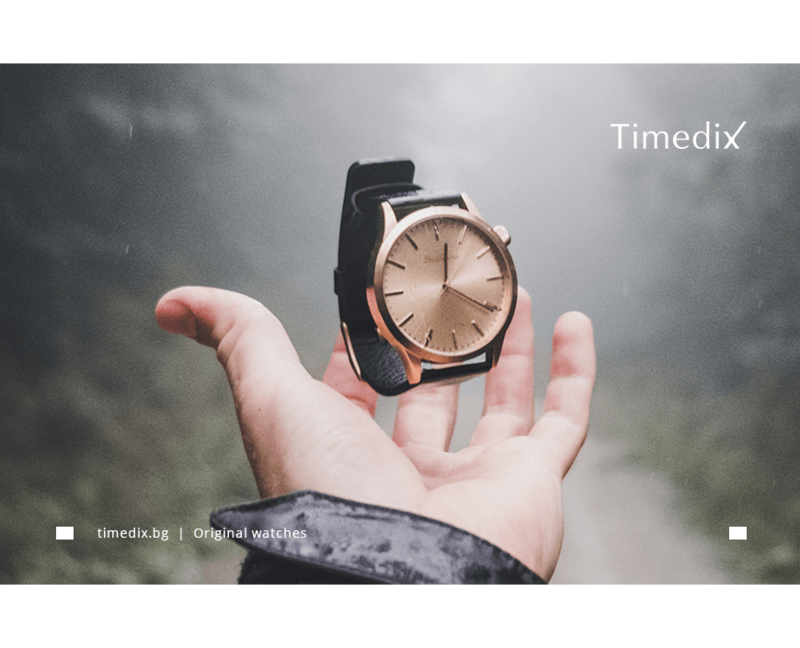 Another thing to keep in mind when choosing a watch is the material the strap is made from - whether it is metal, leather or on the basis of some polymeric material such as plastic or silicone. Take a look at the heart of the watch – the type of the mechanism. Quartz watches are powered by a battery. These mechanisms are more widespread and more affordable. However, the traditional watch is always a good option. Moreover, the glass of the watch is also important. It can be plexiglass - these are glass-made plastic-based materials, they are a good option because they are affordable, however, easier to scratch. But this doesn’t seem to be a problem because every watchmaker can polish the scratches so the watch can look brand new. It turns out that plexiglass is a good and relatively cheap option. Another option is mineral glass (the most common type of glass in designer watches). It is more scratch-resistant. The third option is the sapphire-crystal glass, which is the least prone to be scratched, but it is more breakable. This is a much more expensive option because it is as an embodiment of elegance, class and style. Another feature that you should keep in mind when buying a new watch is the water resistance. It would be better for you to inform about the waterproof properties of watches if this is important for your profession or lifestyle. There are different water resistance categories. Some watches can withstand only accidental splashes, for example rain, but are not suitable to be submerged into water. Other watches can withstand splashes, shower or even swimming. The highest waterproof category allows swimming, high-impact water sports and even scuba diving. As we have already mentioned, it is really important for your new watch to harmonize with your everyday life. You should not forget that the watch emphasizes your individuality, so it is important for you to trust yourself. So you should think: are you going to wear it every day or only for official occasions? If you are a business person, the classical analogue watch with a black strap would be ideal for you. Remember, official watches are a symbol of class and style, and - of course - symbol of good social status. Another think to keep in mind: you should always match your watch with your clothes and other accessories. If you are an active athlete, a digital or combined type of watch would be perfect for your everyday life- especially if the watch has a variety of specialized features such as a stopwatch, heart rate monitor or burnt calories counter. Moreover, casual watches are often associated with higher quality materials because of their everyday use. We can’t forget something very important when buying a watch - to think of the price range. Of course, more expensive watches have more features to offer, but to think that the high price is always an indicator of the best quality is completely wrong. There is a huge variety of watches both elegant and affordable. So before you choose, take the time to set a price range. How much money you can afford for a new watch? This will definitely help you focus on the variety of low, medium and high priced models. When buying a watch, many people choose a favorite brand as an embodiment of high quality. This is also very important - whether you are already convinced of the professionalism of a particular brand. If you are not, our advice for you is to read about it, as well as to check the feedback so that you will know more about the quality the brand offers. It is also important to pay attention to the guarantee - well-known world-class brands sell their watches with a two-year warranty. They also offer professional service in their stores around the world. Remember: trends can change, but the watch will always emphasize the style of its owner. We hope that this text will help you with your next choice. Because the watch is not just an accessory you can use to complete your look. It expresses your individuality. So choose wisely. How do you want other people to think of you and how do you want to think of yourself?